The prayers and financial support of friends like you have helped share the Gospel through solar radio ministry in many communities. A strong OMS ministry partner, the Evangelical Church of Gaudin, knows first-hand how God uses Radio 4VEH solar radios to change a community. Leaders like Pastor Hérode are key to mobilizing and training radio distribution partners for Resounding Hope. 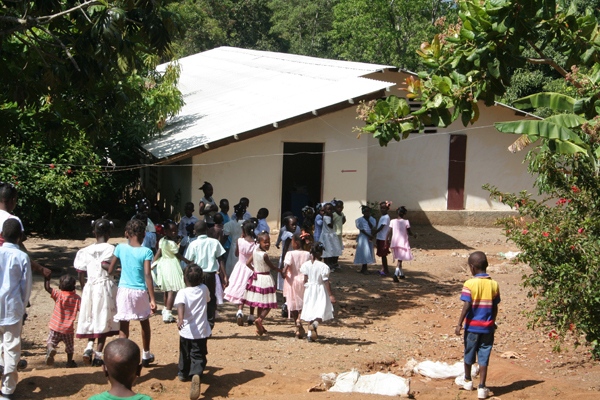 The work of the Gospel, through the radio ministry of Radio 4VEH, has transformed a village near Grison Garde in northern Haiti. After solar radios were given out to villagers there, people began to listen daily to the Gospel message, Bible study, preaching, as well as news, farming and health advice, community announcements and music. 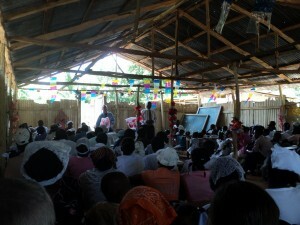 Once a Voodoo stronghold, this remote village is now home to a church with 120 members, proclaiming new life in Christ. Villagers no longer seek help from Voodoo priests and witchcraft and no longer live in fear.